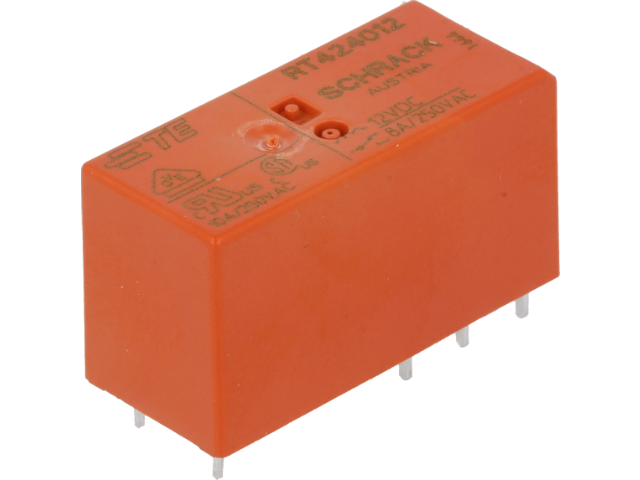 RT424 is a very popular series of miniature relays from TE CONNECTIVITY for PCB mounting. The relays are available with two contact configurations – make-contact or switch – and the switching current of 8A. The series is available with coils for common voltages of 5-110VDC and 24-230VAC.